Having kicked off the tablet market with Android-based Kindle Fire , Amazon is now getting ready to enter the smartphone market . Amazon will reportedly be the first smartphone was officially announced in June , at least that's the latest report outstanding . Some images from the Amazon smartphone also never appeared in April , but the picture only shows the device is covered with a protective casing . Well , now the smartphone appeared in a new image , and this time we can see it very well . The authenticity of the new images from the Amazon smartphone is reported to be verified by " multiple sources " who spoke with BGR . It is said that the image is used internally by graphic designers Amazon . Although not yet confirmed by the company , but at least it is clear that the picture we can see for now . 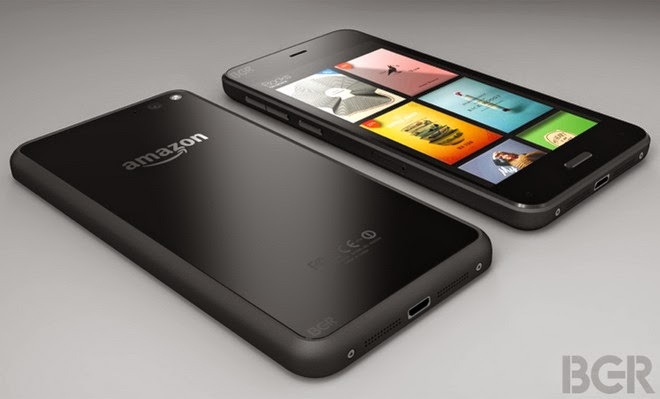 Reportedly , the first Amazon smartphone will come with a 4.7 - inch 720p display , 2GB of RAM , quad - core processor Qualcomm Snapdragon , and a 13MP rear camera ( which apparently has an LED flash ) . The handset will use a version of Google's Android Customize , reportedly comes with 3D UI and motion-based unique slant . Four infra - red camera sensor found in the front corner of the device will allow the software to modify a 3D UI based on the user's position .